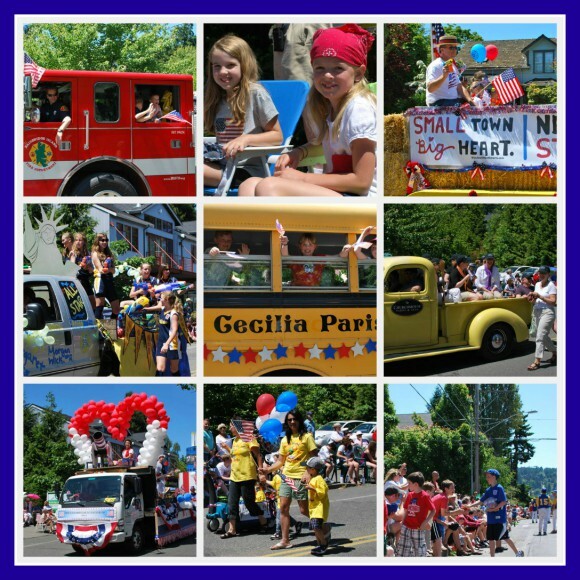 A look back at the sunny July parade . . . This closing on Kings Place represents my third short sale closing of the year. I was the listing agent on this one and the process, though not untypical, was a long one – a total of 152 days on the market and a four month escrow for the current buyers/owners. The home had two offers, but the first buyers, needing a relatively quick closing, got impatient with Bank of America and moved on. The second buyers (the now current owners) had to submit their offer twice to the bank because BofA DENIED the first sale for no substantial reason. But, when they gave us the stamp of denial, we did not give up. With a lot of outside the box thinking and a good understanding of the behind the scenes process with the BofA Short Sale Department and Equator (the computer system BofA and Wells Fargo use to manage their short sale transactions) we were able make the third time the charm. We worked with three Negotiators within BofA, the third (a former Realtor) being by far the best at her job and communication, played a key role in getting us to close. Patience is the key ingredient to weathering a short sale. The other is a listing agent who is detail oriented and diligent because they drive the paperwork and negotiation with the bank. The third is a buyer’s agent who understands the short sale process, so they can educate the buyers of the process. The buyers and buyer’s agent on this deal with super patient and had a good understanding of the process. They understood that in many ways we were all at the mercy of the bank, the decisions, their timing. However, with proper and smart execution of paperwork and great communication with the bank we were a successful team and the buyers got an amazing deal. And, equally important, my sellers were able to move on without the huge burden of two homes after a job relocation. My seller’s bought the home back in 2007 for $490,000, and it sold in 2011 for $310,00 – a 37% price reduction. The patient buyers got an amazing deal and a home purchase well under market value. For the sellers willing to weather the short sale, they avoided foreclosure and the major ding to their credit score. Major damage to your credit is restored about two years after a short sale versus five years on a bank foreclosure. 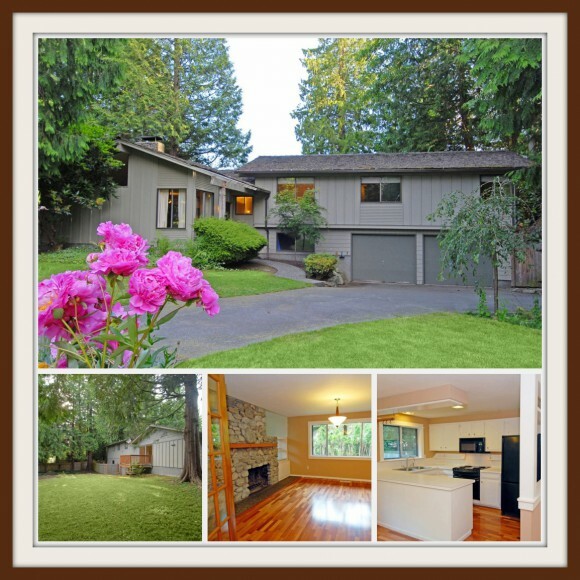 For more photo and information on this home and listing, visit its website. Questions about short sales? Read my blog post on short sales or call/email me. Soak up the summer sun! 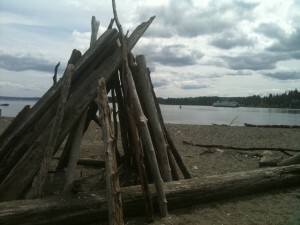 This 40-foot wide right-of-way includes a no-bank, gradually sloped, sandy/gravel beach with driftwood. Private property and tidelands exists on both sides of 40-foot wide right-of-way. This was one of the first road-ends converted for public use. It is a heavily used access point, especially in the summer months. 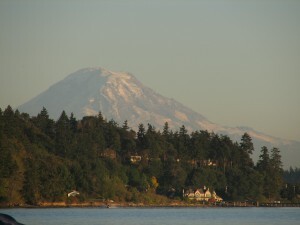 You can not beat the views of Rich Passage, the Bremerton Ferry, Mt. Rainier, and the classic sunshine of the sunny south end. There are chairs, a fire pit, paddle boards, and life jackets for public use. Minimal parking at the road end (4-5 cars), but parking along Pleasant Beach Road as well. The trailhead is located at the intersection of Wing Point Way and Azalea. 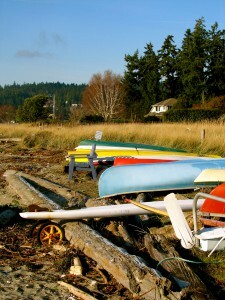 This 11.7 acre conservancy park (thanks to Bainbridge Island Land Trust) contains upland forest, a large wetland with 330 linear feet of saltwater shoreline on picturesque Eagle Harbor. 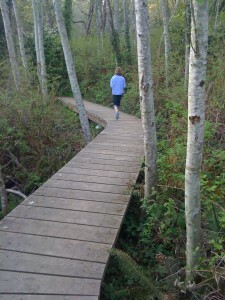 The park has a wonderful 400 foot boardwalk and .25 mile walking (or running/racing if you are my kids) trail from Wing Point Way to the shoreline on Eagle Harbor. This is a great spot to collect sand dollars and you have a front row seat to watch the ferries come and go at the dock.